Jeffrey M. Binder, Esq., is a litigator who has tried numerous legal matters across a diverse spectrum that includes immigration, commercial, arbitration, bankruptcy, human rights, and complex civil cases. 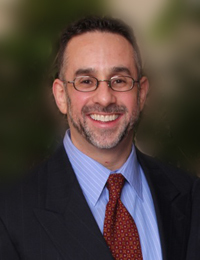 He has served as legal counselor to political organizations in Westchester and New York City. His experience as a former New York State Assistant District Attorney and his political championing allow him to bring his legal, public policy, and advocacy skills into every negotiation, courtroom, and client representation opportunity. Jeff is well respected for his strategic and thoughtful pursuit of his clients’ interests, regarding both long-term goals and immediate crisis resolution. He has written in-depth articles and op-ed pieces on current legal and political matters in the greater New York City area and is a frequent guest on public affairs issues radio and television programs in Westchester and New York City. His clients have included prominent community leaders, including judges, mayors, town supervisors, and county board members. Jeff was Chief Counsel to former State Senator Roy M. Goodman from Manhattan and has also held the post of Chief of Staff to former NYC Councilman Charles Millard. He is a registered lobbyist for the state of New York and is a managing member of the Strategic Political Group, a political consultancy that provides government affairs representation, campaign advice, and polling for candidates and other political organizations. He is familiar with the detailed laws of the area as well as the optics needed to navigate the ever-changing political scene in Westchester, New York City, and Albany. Jeff is admitted to practice law in New York, New Jersey, and the Federal District Court of the Southern District of New York. He is an active member of the following associations: New York State Bar Association, American Immigration Lawyers Association, Westchester County Bar Association, American Bankruptcy Institute, National Association of Consumer Bankruptcy Attorneys, and the New York Association of Criminal Defense Attorneys. He was previously a member of the Westchester County Charter Revision Commission, where he served as Co-Chairman of the Budget and Finance Focus Group and was a member of the commission’s Steering Committee. Jeff currently serves as counsel for and a board member of W.P. Housing, Inc., a not-for-profit affordable housing development company. 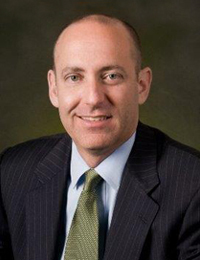 Jeff is a graduate of Johns Hopkins University and the Fordham University School of Law. Kenneth A. Leitner, Esq., is a practicing attorney and hands-on business, legal, and policy executive. He has years of experience as a lawyer negotiating and managing major real estate and business agreements. With a proven ability to coordinate the different aspects of complex transactions, he has achieved longstanding success with various convoluted government approval processes. Ken is also highly skilled in the areas of corporate law and governance, economic and business development, and litigation. A former New York City Assistant District Attorney, Ken has practiced both civil and criminal litigation. He has also provided business development, strategic planning, and project management services to not-for-profit organizations. Ken has served on the law committee of a major political party in New York City and has advised elected officials regarding their political campaigns. He provides effective strategic planning, government affairs counsel, and public relations advice throughout Westchester and the greater New York City area. From 1999 to 2011, Ken served as the Vice President and General Counsel of the Roosevelt Island Operating Corporation of the State of New York (RIOC), the public benefit corporation responsible for the development and operation of Roosevelt Island. From both legal and policy perspectives, Ken guided the RIOC’s major development projects and business transactions. He was the lead negotiator for and a key member of the corporation’s management team that turned around what was once a financially distressed public authority. Through his efforts, the RIOC revitalized its residential and commercial properties and created an attractive environment for development in which new, defining projects have been constructed. Ken helped bring to fruition more than $750 million in new construction, the development of 2500 new mixed-income residential units, the preservation of thousands of existing affordable dwelling units, the revitalization of 90,000+ square feet of commercial space, and the generation of over $300 million in increased revenue for the corporation. For the last seven years, Romina V. Mendoza has been the office manager and chief legal assistant to the attorneys at Jeffrey M. Binder PC & Associates. She was born and raised in Buenos Aires, Argentina, where she attended the General San Martin Institute and studied accounting and the legal process. 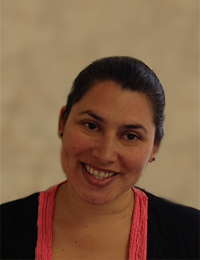 Romina is one of the firm’s primary points of contact for immigration clients and those needing translation. She is fluent in both Spanish and Portuguese. Romina has an in-depth understanding of legal terminology and can translate into both languages to facilitate the clients’ legal process. She is always available to provide support to both the clients and the attorneys. Romina has lived in the United States for many years and is a licensed New York State Notary Public. Things You Should Know About Applying for Asylum in the U.S. Applying for a F-1 Student Visa? Take Note of These Useful Tips! Ms. Jimenez Also Earned Her Bachelor’s Degree! Can You Bring Your Parents to Live in the U.S? Federal Judge gives DHS 90 Days!